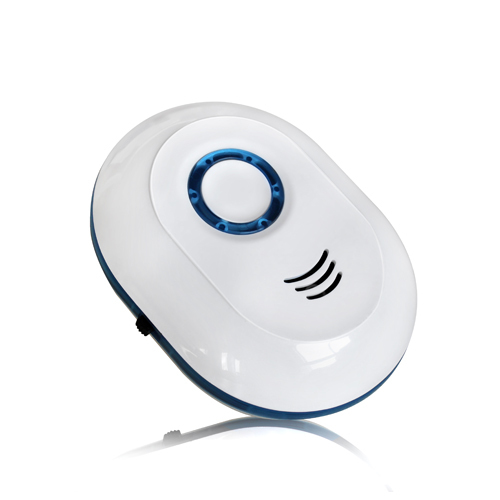 Mini Ion Generator Air Purifier: to kill off bacteria, fungus and decompose harmful organic polutants. Connect the device to the mains (100-240V) electrical supply, and turn ON for manual use. KJ-56 will have a constant, ongoing production of anion. Manual Switch off. Select OFF/AUTO if a 30 minute automatic production of anion is required selecting the central button. Having completed the cycle, KJ-56 will switch itself off. 1. Effectively deal with almost all dust and odors in home. 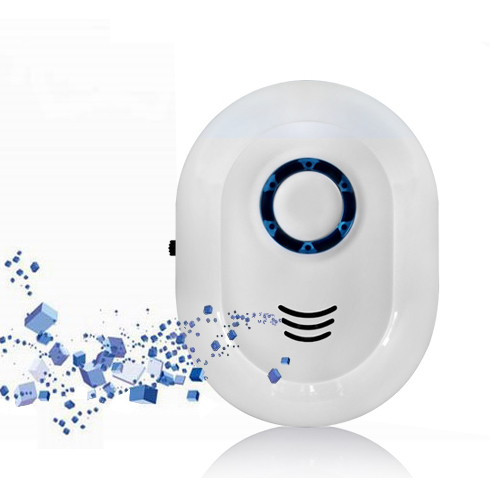 The air ionizer using advanced ionizer technology circulates airflow to neutralize offensive odors and kill bacteria. 2. No replacement of any filter material is needed. 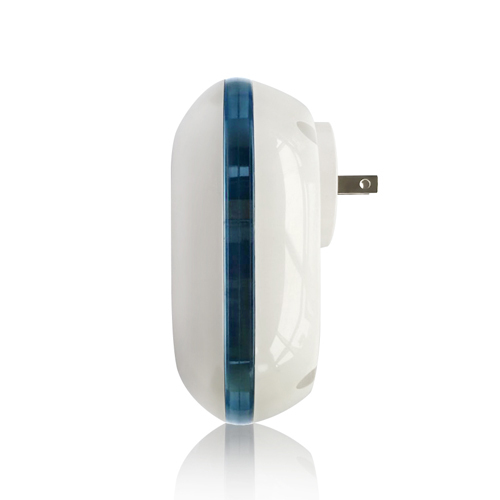 This cordless ionic Air Freshener fits closely to the wall, without occupying unnecessary space. 3. 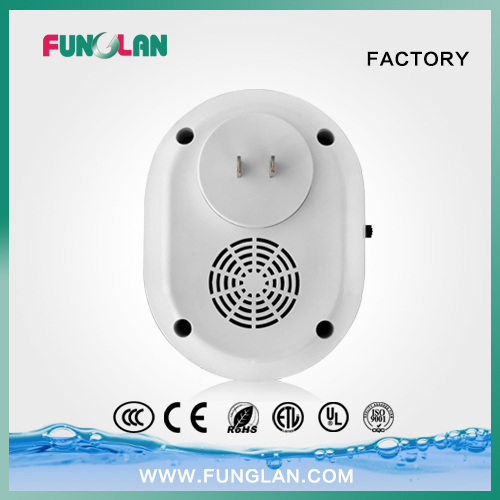 This fashion designed compact air freshener operates noiselessly without motor and consumes <5 watts .Besides, long life LED that provides enough light to a small space enables KJ-56 to be an ideal electric appliance for households. 4.Plug in the unit to use, easy to carry around. 5.Without chemicals and maintenance without dismounting. 6.LED night lighting, practical and energy-saving. 8.Application of technology of the most ion, the unit is last for 10 years without ozone consumption. 9.Without chemicals and maintenance without dismounting. 10.LED night lighting, practical and energy-saving. Kindly Reminder: In order to keep the product operates properly; clean the unit at least once in 3 months. We recommend that you disconnect the device from your electrical supply and store it in a dry place when not in use for extended periods. Warning:Do not cover when on and keep away from any sources of heat. Contact us if you need more details on Ion Purifier. We are ready to answer your questions on packaging, logistics, certification or any other aspects about Ion Air Purifier、Ionizer. If these products fail to match your need, please contact us and we would like to provide relevant information.